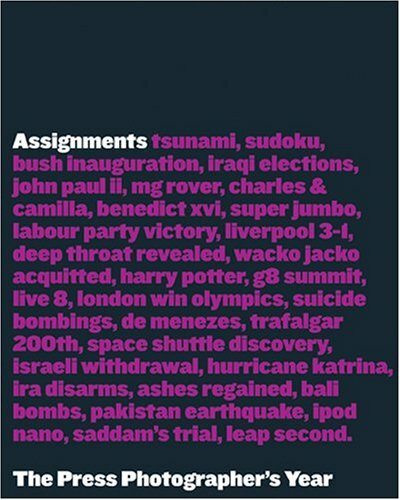 Following on from the phenomenal success of Five Thousand Days (2004), the members of the British Press Photographers' Association (BPPA) have selected their best work from projects spanning the globe in order to revisit their definitive yearbook series. The result, edited down from over 10,000 submissions, by an independent jury of photographers and picture editors, is a remarkable and uncompromising photographic essay and includes previously unseen images. Assignments: The Press Photographer's Year demonstrates once again that even in an age of rolling television news, internet and satellite communication, the traditional still image burns the keenest, fastest impression on the public conscience: the most effective way to show the world the world as it really is.